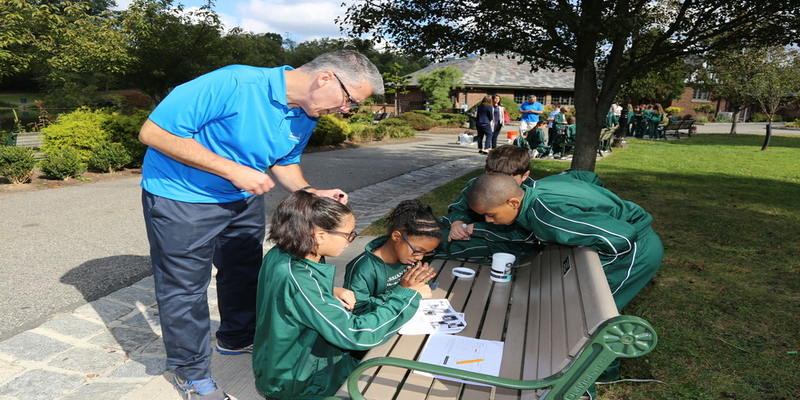 Students from St. Cassian School in Montclair, NJ had the unique opportunity to team up with our EarthEcho Water Challenge partners from the Xylem Rye Brook, NY headquarters for a real-world STEM learning experience featuring the EarthEcho Water Challenge. On October 3, St. Cassian’s students were able to learn about the world’s water challenges from Xylem Watermark volunteers, while conducting experiments and hands–on activities. Sixth grade students participated in the EarthEcho Water Challenge by testing lake water temperature, turbidity, pH and dissolved oxygen levels. They then recorded the results in the EarthEcho Water Challenge database. Kindergarteners learned about water as a valuable resource and created a water filtering system. A special thanks to the Xylem Watermark volunteer team and St. Cassian’s school teachers and students for their commitment to monitoring and protecting our water resources!